Having recently razed Manhattan, thereby clearing some room in its lineup, WGN America is moving forward with two new dramas, including a graphic novel adaptation. Deadline reports that the network has given pilot orders to alien saga Roadside Picnic and the DC Comics-based Scalped. The first is an adaptation of Arkady and Boris Strugatsky’s Soviet sci-fi novel from 1971, and will explore “a near-future world where aliens have come and gone, leaving humankind to explore the wondrous and dangerous mysteries left behind.” Jack Paglen (Transcendence) is writing the pilot for Roadside Picnic, which will be directed by Alan Taylor (Terminator Genisys) and produced by Neal Moritz (Prison Break; the upcoming Preacher adaptation). 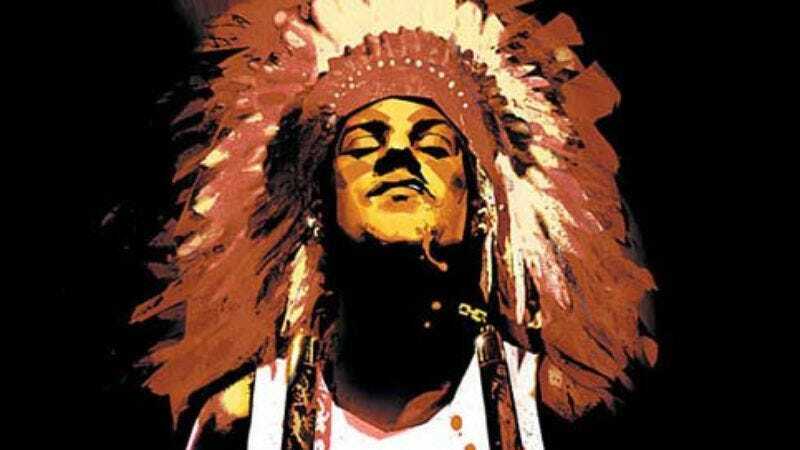 WGN America has also finally given a pilot order to Scalped, an adaptation of a crime-comic series that would represents its first attempt at bringing the not-so-funny pages to network TV life. The series will explore “power, loyalty, and spirituality” in a modern-day Native American reservation. The story opens with the return of a prodigal son (who’s promptly jailed), and is a little reminiscent of SundanceTV’s The Red Road. It’s been a year and a half since WGN America first snapped up the property, but Banshee’s Doug Jung hasn’t been forgotten—he’s still set to executive produce the pilot episode he’s already written. Jung’s certainly gotten a handle on small-town dynamics and intrigue, which should serve him well in his telling of Jason Aaron’s story (as illustrated by R.M. Guéra). Deadline notes that WGN America’s showing an unusual amount of restraint in lining up these pilots instead of handing out straight-to-series orders, which it recently did for the David Morse-led Outsiders, as well as the taut historical thriller Underground, which premieres this Wednesday. Manhattan was far from a dud, so it’s not clear what’s suddenly made the network so tentative.